I have worked with a number of bloggers over the years, and the one thing I love the most is each one of them has a distinct style – AKA their brand! 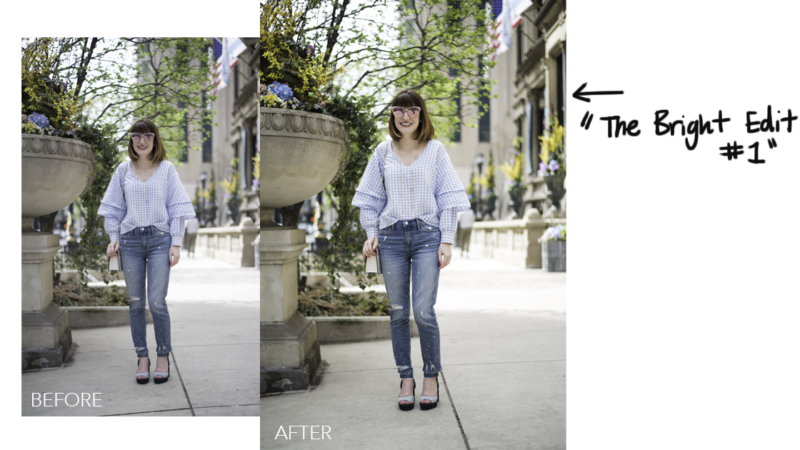 Over time I have developed a specific editing style, but working with bloggers allows me to try new techniques. Instagram is a huge part of my decision-making behind each blogger’s editing style because their Instagram is their branding board. I am going to showcase three different bloggers, their brands, and how I translated each blogger’s personality/brand into an editing style. Emma Lenhart, of EmmaLenhart.com, is a 20-something Chicago lifestyle blogger. She writes about college, living in Chicago, fashion/beauty, and more! When asked where the inspiration for her content comes from, she said the City (Chicago). Her favorite coffee shops, stores downtown, etc. Chicago has had a huge effect on her brand because it’s so inspiring, beautiful, and constantly sparking her creativity! 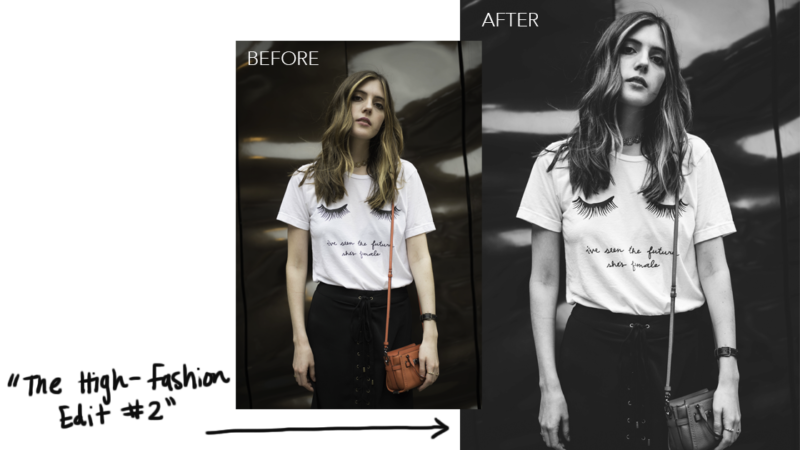 Emma describes her Instagram feed as: Minimal, Polished, and Clean. Morgan Timm, of MostlyMorgan.com, is a lifestyle blogger who covers advice, stories, and guides for women in their teens and early twenties. Morgan gains inspiration for her content from a lot of different places including, but not limited to: her friends, blog readers, and Instagram. Morgan describes her Instagram feed as: Bright, Fashion-Focused, and Floral. I work with Morgan a lot, and as she’s grown, her style has too. This particular trip Morgan styled some awesome outfits – and they were super fun sets to edit! 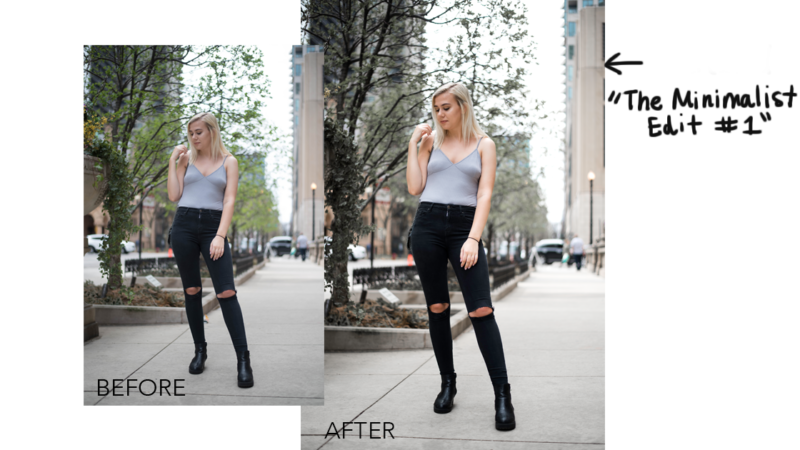 If you like the edits of the two Before & Afters below, you can purchase The High-Fashion Edit -Lightroom Preset Duo here! Allie, of AlliesFashionAlley.com, is a blogger based out of Chicago. She blogs about what she wears, which beauty products she uses, and the things she experiences in Chicago. When asked, Allie will tell you that her content is inspired by current trends. The latest magazine spreads, what celebrities are doing/wearing/buying, the Chicago street style trends, or trending Instagram posts, are all things she listed. Allie describes her Instagram feed as Feminine, Fun, and Bright. Allie has a very bright and fun look, I love it! It was fun to shoot & edit for her because I was able to embrace the bold colors. 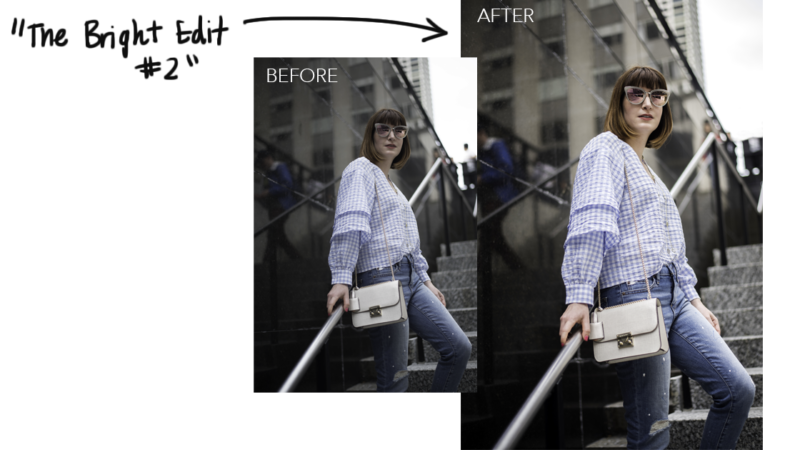 If you like the edits below, you can purchase The Bright Edit – Lightroom Preset Duo here! 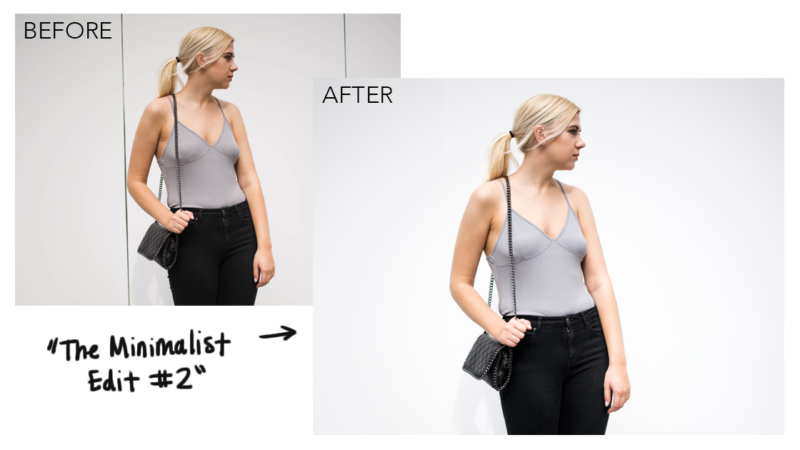 Presets are a starting point to a great edit – so always remember to tweak the settings to fit your image. There are also the technical edits like getting rid of the garbage and random lines…I will do a post on that if anyone wants it? Let me know if you have any requests and/or suggestions!